Outdoor dog kennels make for some of the most fun experiences for your pet! As most of us know, nearly all dogs love to romp around outside and play. Even those that would rather loaf around, enjoy doing it outdoors. What makes outdoor dog kennels special is they typically allow dogs to wander from inside to out. Some outdoor dog kennels go as far as to have agility training courses, pools and even man-made beaches. The sense of freedom that comes with staying at outdoor dog kennels is priceless and the indoor/outdoor experience is as close to letting your dog feel at home as you can get. These kennels are especially fun for pets if you live in an urban area or condo where you don’t have a backyard. Kennels have changed for the better, catering to the animals’ likes as a whole and then caring for animals based on each of their individual needs. For this we can thank the hard work of animal rights activists for helping to change the attitude toward pets. Nowadays, there are so many outdoor dog kennels as opposed to ten years ago. We know much more about domestic animals’ behaviors, their needs and how to fulfill them and kennels are striving to do this. With nearly 50% of the American population having pets, and of those, 50% considering them part of the family, kennels have come to the understanding that they need to make staying there an experience pets will enjoy. If you are considering leaving your pet in a kennel, you might first look into outdoor dog kennels before deciding upon one. You also should read this article on kennel trends. Why are Outdoor Play Areas Important? Dogs need exercise. According to pet expert Kathy Diamond Davis, a dog that gets enough exercise will most likely rest more calmly at home and be less fretful when left alone. She refers to the the dog-management mantra “A good dog is a tired dog,” as gospel to many people. She also explains that exercise can improve bone and joint health and improve heart and lung function. Dogs also need to satisfy their senses–smell, sound and sight. Sniffing the ground, listing to wildlife and taking in the outdoor space is all important to a dog’s well being. The smells stimulate his brain, the dirt and grass feel good on his feet. Many animals are trained not to be rambunctious indoors – they need to be outside to run and play. Finding outdoor dog kennels can be a problem in urban areas. Space is at a premium, and even if they have a yard, how do you know it’s big enough? If you can find outdoor dog kennels near your home or travel destination, call and see if you like them. If so, this may be where you want to leave your pet when leaving home or if you need some alone time to visit non-pet friendly museums, go out for fine dining or other activities while on vacation or a business trip. If you have time, take a tour of the facility. Ask the staff members if the dogs are allowed out in shifts or all together at certain times of day. Are they separated by size? Depending on your dog’s temperament, you may request that he be let out separately. Don’t be afraid to ask for this. Kennel staff members know that not all dogs get along, and they don’t want any discord or potential injury in the boarded animals; it would be bad for business and most truly care about your animal. Also, look for outdoor dog kennels that have a shaded area, grass, and bowls of water. You don’t have to spend a fortune at the luxury kennels. Just by seeing how the facility is run, the size of individual doggie rooms and making sure there is an outdoor area will let you know your dog will get all the stimulation, exercise and companionship he needs while you are away. Ready to find outdoor dog kennels near you or your travel destination? Vacation Pet Friendly is city-based so all you need to do is type in the city name Travel Guide search box and you will find a list of kennels for that specific area. 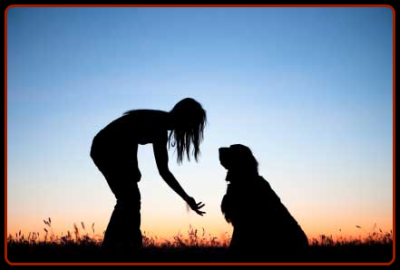 The ideal situation is to travel with your pet and use nearby outdoor kennels when you need some alone time. That said, if you are traveling with pets, you’ll want to read some of our articles on Travel Tips and also on Pet Friendly Hotels.